Besides the functions of a car, the appearance of a car, both exterior and interior, is equally important for today’s consumers. As a manufacturer or supplier, getting the color and trim right is vital and stringent color quality process is needed for every colored components in a vehicle to ensure consistency. Qualifying parts of a car, exteriorly and interiorly, is a tedious process as parts are supplied through numerous suppliers where each has their own color formulation. Ensuring harmonious appearance, whether it is about color matching parts that uses different materials, evaluating color travel of metallic coating or quantifying orange peel, requires color quality control through color instrumentation. Apart from exterior and interior color, lighting and display systems of a vehicle must be evaluated for uniformity and precision. Headlights, tail lights and indicator signal need to meet safety standards. Display systems must be evaluated to ensure operational and safety information are conveyed to drivers clearly. 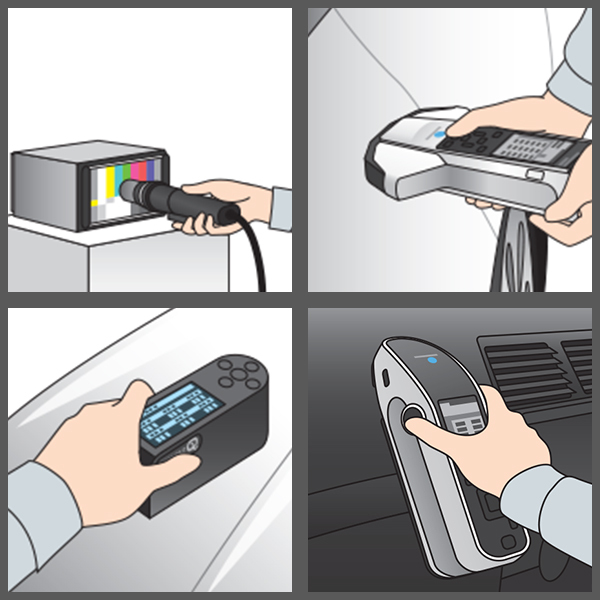 At Konica Minolta, we provide light and color educational seminars as well as highly accurate light and color measurement solutions to help engineers test light and color quality in automotive manufacturing. Check out our advance imaging solutions for automotive design to find out more. Alternatively, click here or contact us at (+65) 6563 5533 for a free consultation.